Braun established in 1921 as radio maker company came a long way to build kitchen appliances. Nowadays the brand is mainly known by its electric shaving products but those who once bought a Braun kitchen appliance tell tales using them for 15+ years. It’s not a surprise given that Braun products aren’t in the lower price category at all but good to know we get quality for the price we pay. Unsurprisingly Braun customer service representative is all over Amazon promptly responding any negative sounding review offering some kind of solution. 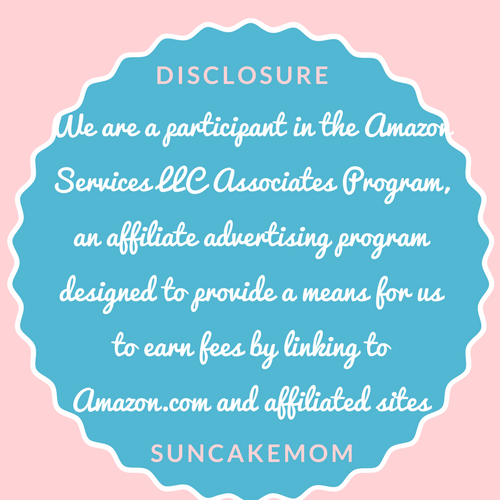 It’s a really nice touch caring about their customers where their costumers actually are. To know more about Braun’s history check out its Wikipedia’s Braun page. Let’s see what features could be packed into an immersion blender that would worth the price. At first sight the Braun Multiquick 7 looks like every other immersion blender in the market. It’s not because Braun’s design being imitated like it was a widespread problem in the 90’ but because a stick blender can’t be much different than it is. 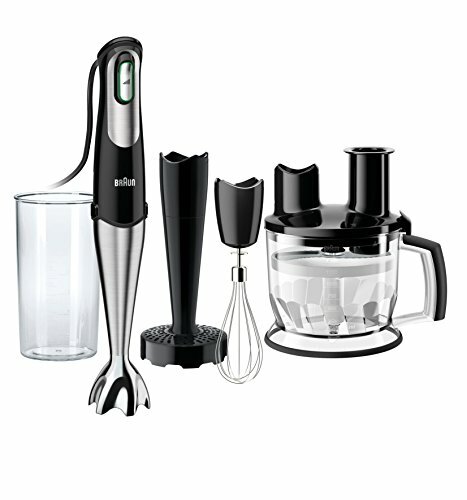 Except probably Breville hand blender which looks exceptionally nice given that it’s an electric motor on a stick. The main noticeable difference between all the hand blenders around is that the Braun Multiquick 7 has a throttle to set the speed of the blades anytime we wish for. You don’t have to stop to change the speed anymore. It can be controlled directly anytime one handedly only with our finger. We press it harder we get more power. It’s simple as that. It’s worth to mention that it only produces 400 watts power in the US standard sockets. We need to move to Europe with our blender and plug it into a 220V socket to get a crazy 750watts which is rather unreasonable amount of power to have for an immersion blender. As it is with most above average brands it has some non-slip rubber around its body. It may not seem that important but it saves life and dinners not to slip into the soup out of a wet hand. Which happens way too often in the kitchen causing all sort of troubles. Here we won’t have any such problems. The soft rubber makes the handling very smooth and secure. Another sweet spot of the Braun Multiquick 7 if we hate cleaning pieces of food all over the kitchen, is the anti-splash technology. It’s nothing really too fancy only they figured out a design that won’t let the food splashing around the kitchen while pulling and pushing the mixer’s head into the food. We had some doubt about this but it works surprisingly well. If we are one of those who hates hunting for pieces of mayo all over the kitchen we are definitely going to appreciate this feature. 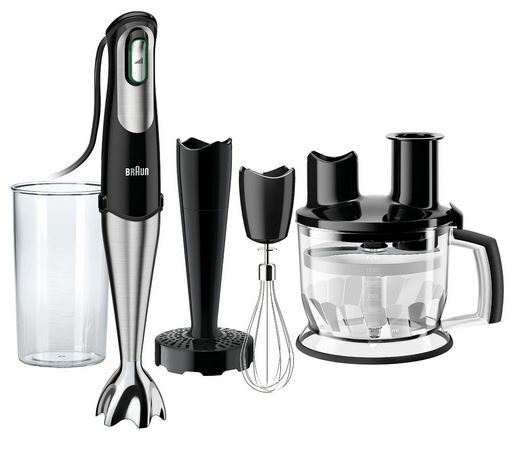 The beaker, the stainless steel whisk and the chopping tool are all standard accessories of modern hand blander given that it comes in a bundle. But the rest of the tools worth a couple of more words to spare. We didn’t even think that we would ever needed something to mash potatoes. To be honest if we only cook for our family, we don’t even bother setting up a machine but we get it done with a simple fork. However, this attachment -as it’s much more accessible than a clunky stand mixer- makes it a breeze. The kneading hook is something, we thought, we would never use on a handheld machine as making dough is a generally long process. This job is much more suitable for stand mixers which free up time for other tasks while working on the dough. However, Braun has just found a great solution that even could satisfy some weekend bakers who are happy with the 6 cup / 1500 ml food processor attachment volume. That’s easily enough for a pizza for sure. The really bad news is that the kneading attachment is not available for the US. Shredding could be a nightmare for some. But fear not anymore of the sharp edges of the manual shredder. Braun ships awesome blades for its food processor unit that makes chopping a dream. Given that our dream is French fries cut potatoes and sliced cucumbers. Surely, it can cope just fine with cutting carrots, too. There isn’t much room for setting the thickness of the slices but there is a possibility to choose between coarse or fine cutting blades. Personally, we would swore on a sharp knife and the rolling technique but not everyone has learned to have such a skill. So for those who feel a sharp kitchen knife a curse these food processor attachment will be a true blessing. Although, the MQ777 is quite versatile, it may not be good enough for everyone. The food processor unit is fairly big for cutting herbs and small amount of cheese. If we are planning to do a lot of small volume jobs then a smaller chopper attachment is a reasonable addition to get. Also with lots of attachments comes the problem of shrinking kitchen real estate. If we can’t keep it on the kitchen counter or in an easy accessible place then it may not be that useful as it could be. It’s a really handy tool so it needs to be within reach at any time. Otherwise, it just makes life more difficult than it should be with all the cables and such. The best thing is that all the attachment of the MQ 777 are dishwasher safe as it should be with any kitchen tool. Mind not to throw the main unit there, too. That would probably suffer quite a lot there, though. 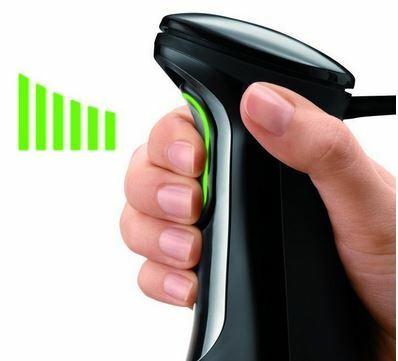 Experience true control and power with just a squeeze of your hand. 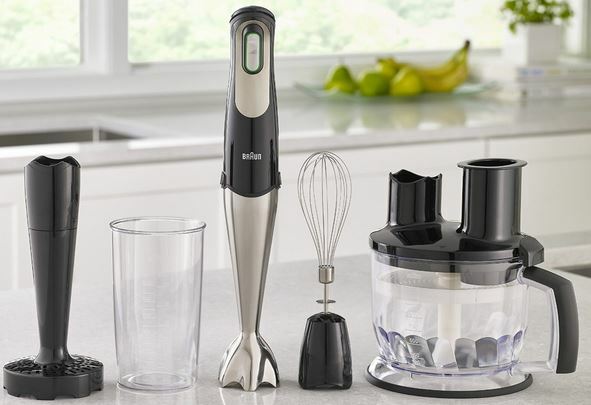 The first hand blender with Smart Speed technology, Braun's MultiQuick 7, model MQ777, helps you prep meals easier than ever. The patented PowerBell system blends food in a flash without splashing or suction. This exclusive bundle for Bed, Bath and Beyond includes a beaker, whisk and 1.5 cup chopper attachments that let you whip up creativity. Can the US version of the food processor be used to knead dough? Does it come with a separate kneading hook for that or the regular blade is sufficient to knead? I see that the versions sold in Europe/Australia come with a kneading hook but I am unsure about the model sold in the USA. I’ve just finished talking to Braun about it and unfortunately you are right. The US models don’t come with the kneading attachment. It’s only distributed with some international models. I am shopping for some Christmas pressies. This seems like a good idea! Isn’t it? I am shopping for some Christmas gifts. This one looks really cool for one!